Curls add a hint of playfulness to your whole look and make you seem younger and vivacious. While well maintained curly hair looks great, they tend to lose their moisture and shine easily and can seem very dry and frizzy. Curly hair need hair care products that can restore the moisture balance in the hair and can make them look full of life. The first step towards hair care is finding a shampoo that will help moisturize and condition your hair. Choose shampoos with Shea Butter or wheat germ oil or any such deep conditioner so that your hair does not remain dry. We give you here the best shampoos for curly hair in India. The shampoo is reinforced with argan oil and silk protein that makes your hair like silk. It provides 48 hour protection and shields your hair from dryness, dullness and frizz during this time. The deep conditioning creme formula conditions your hair from root to tip. It is priced at Rs. 135 for 175 ml. The new Keratin Smooth shampoo from Tresemme is infused with Keratin that will help strengthen the hair shaft by forming an additional keratin coating around it. The moment that happens, your hair becomes smooth and manageable. If you have frizz prone hair, it makes the hair soft and manageable. It is priced at Rs. 80 for 90 ml. Use Pantene Pro V silky Smooth Care for frizz free hair under any weather. It can be used daily for upto 10 x better dandruff protection than other shampoos. It locks in moisture and helps the hair becomes soft and shiny. It is priced at Rs. 229 for 340 ml. It is enriched with components like wild cherry twist, citric acid, corn silk extract which make your waves and curls plush. The citric acid helps in balancing the pH of the scalp and helps the hair become soft and shiny. It also provides protection against scalp infections. The shampoo gives you lasting shine and smoother curls and helps you flaunt your waves confidently. It is priced at Rs. 179 for 300 ml. 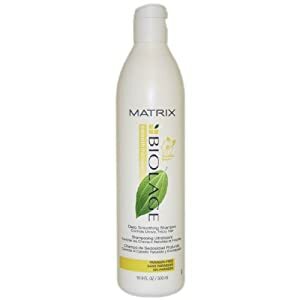 Matrix Biolage Deep Smoothing Shampoo has camelia flower extracts which helps in smoothing unruly medium to coarse hair. 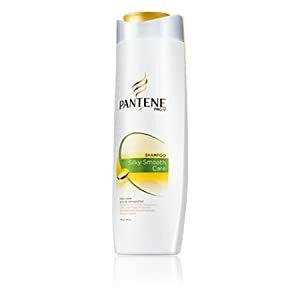 It is ideal for use in hot and humid seasons as it is lightweight and cleanses the hair and leaves it smooth but not heavy, thereby helping your hair retain bounce even in humid conditions.It is paraben free. It is priced at Rs. 285 for 200 ml. You can leave all your worries about frizzy hair behind with the Tony and Guy frizz smoothing curl shampoo. The shampoo provides your hair rich moisture and strength. The rich conditioning leaves your curls shiny and your hair less frizzy. Use regularly for glossier curls. It is priced at Rs. 225 for 75 ml. The Body Shop Banana Shampoo contains real banana puree that smells good enough to eat it. It gently cleanses the hair and leaves it manageably smooth and silky. Regular use makes the hair shiny and lustrous. It is priced at Rs. 795 for 250 ml.